NEWBERRY COLLEGE MUSIC LEADER DAY! Band, Choral, and Orchestral Directors can nominate outstanding senior high school music students for the annual Newberry College Music Leader Day! We are looking for an elite group of students who wish to pursue a degree in music to become our newest Music Leaders for Fall 2017! Nominations must be received no later than October 13, 2017 in order for us to make sure that your recommended student receives their invitation to this event. Our “MUSIC LEADER DAY 2017” will be held on TUESDAY, NOVEMBER 14 in the Alumni Music Center on the Newberry College Campus. For more information about Music Leader Day nominations, please contact: Debbie Jarman at 803-321-5633 / debbie.jarman@newberry.edu.  Students interested in scheduling a campus visit or music audition may Click here to go directly to the Newberry College Campus Visit Request form. For more information about Newberry College, please contact the Office of Admission at 803-321-5127 or by email at admission@newberry.edu.